Offered either as a public workshop or customized program for individual boards, and consistently rated by participants as “best-ever” governance workshop, “Mastering the Board Game™ ” gives participants a comprehensive new look at how boards can become highly effective leadership teams. As a public workshop, Mastering the Board Game™ has been successfully presented by trade associations, community leadership programs, colleges and universities, chambers of commerce, and other organizations committed to elevating board effectiveness in a given community or industry. 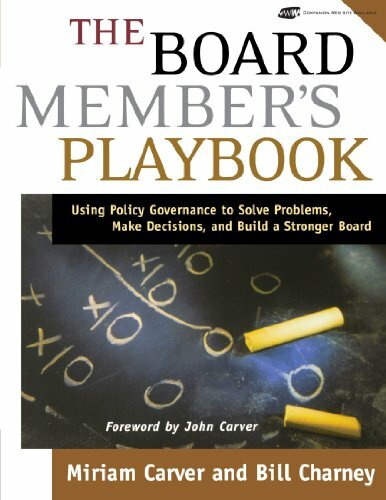 The customized format provides the most effective method for individual boards to begin to explore current governance practices and the impact Policy Governance principles can have. Our preparation for the customized workshop includes a full review of the bylaws, agendas, minutes and structure of our client’s organization. We also utilize our B.A.S.E.™ (Board Assessment of Structural Effectiveness) Survey, through which we garner board members’ perspectives regarding current board activities and practices. This total assessment enables us to focus on the issues of greatest concern to board members and demonstrate how the implementation of sound governance practices would specifically address those topics. These introductory workshops can be presented in full-day or half-day formats. We have also condensed our Mastering the Board Game™ workshop into a two-hour workshop — Defining Board/Staff Roles, Relationships, and Leadership — and have made it available as a stand-alone module for broader group use as well. This presentation is also highly rated by attendees at conferences and conventions. Many participants in our one-day program have requested a more advanced session, with more interactive application of the concepts explored. In response, the two-day version of the “Mastering the Board Game,” available for presentation by trade and nonprofit associations and other community organizations, expands on the work done in the one-day session and provides greater focus and detail on policymaking, fiscal oversight and performance monitoring. Learn more about Charney Associates and how we can help elevate the calibre of governance and board leadership in your organization.